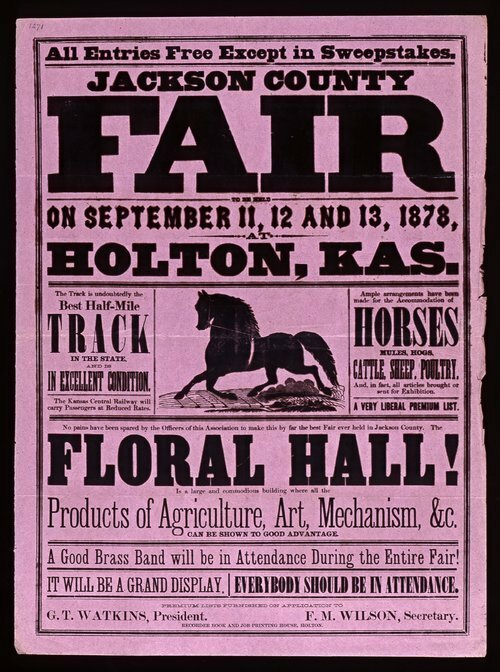 This poster announces the Jackson County fair to be held at Holton, Kansas. Highlights of the fair include a floral hall, products in agriculture, races, and a good brass band. The poster includes an illustration of a horse.